SPACE, STYLE AND SIMPLY AN IRREPLACEABLE LOCATION! DREAM LOCATION FOR YOUR DREAM HOME, DON’T DELAY! NORTH TO WATER ABSOLUTE PRIME LOCATION! At Belle Maison Realty, you, the client, come first. With owners who have more than a decade’s experience in corporate hospitality and retail management, we understand that service is everything. Smaller by design, we’re not just another “get em’ in, push em’ out” agency with priority saved for the most expensive listings. Instead, we think of our team as a family, and our clients are an extension of this tight network. This unique approach to fostering genuine relationships has made it easy for us to attract the best staff in the business, all of whom share our ‘above and beyond’ philosophy. The name Belle Maison Realty is synonymous with integrity, quality and innovation. We are the first to introduce state-of-the-art communication software to the local real estate industry, enabling us to set the highest benchmarks in terms of communication, customer relationships and of course, results. So please, be our guest. Take a look around and discover how Belle Maison Realty can exceed your expectations in the sale or purchase of your home. We look forward to welcoming you to the family. 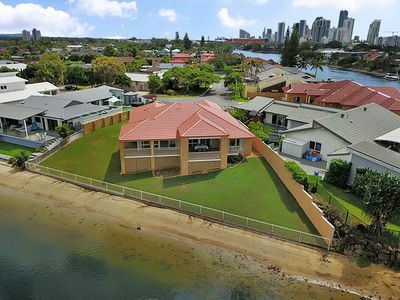 From the hinterland to the waterfront and everywhere in between, we love what the Gold Coast property market has to offer, and most importantly, we understand it.